OUCCC’s annual freshers’ run takes place THIS Sunday 11th October! Meet at the Radcliffe Camera at 4pm. Run around 3-4miles with some new friends. We’ll show you where to go. Bust that bop hangover. Go as quick or as slow as you want to. No-one will be left behind. Honestly. Do it on a space hopper if you’re into that. Alternatively try and run off the front. That’s cool too. Someone will chase you. Afterwards there is free tea in Hertford College (right next door). Not just as in the drink. Food too. Snacks. Sandwiches. Running chat. 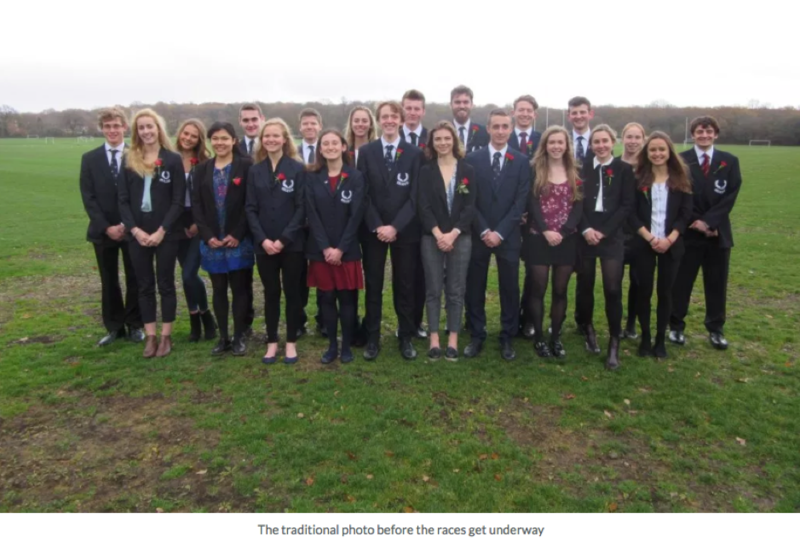 Meet the committee and signficant Oxford runners. Meet Miles. Meet Miles. Meet Miles. Meet the love of your life. Meet Ben Gibbon’s attempts at triple lycra. Talk to Brittney about US gun laws. Cancel your holiday to America. Meet Alex Howard’s sense of tact. It will be fun. There will be excitement. There may be adventure. There could be really wild things. Welcome to OUCCC. Welcome to all new Oxford freshers from OUCCC!!! If you’re getting sick of waiting for results, already have an unconditional offer, are just backing yourself (legend) or want something to distract you before that fateful day, the OUCCC website was built for moments such as these. Details of how to get in touch with, or get involved with, the club are below, and will be updated as Freshers’ Week draws closer. Most importantly, since you’re the sort of person who is reading the OUCCC website before arriving at Oxford, you are definitely the sort of person who would enjoy our pre-season Training Camp (details below). **UPDATE** This happened. It was fun. We laughed. We cried. Alex didn’t complain too much about hills. Luke’s car was a (barely) driving continual amusement. Archie continued his progress towards middle age. There were Miles, Miles, miles, massage, brownies, beers, plastic beds, freshers, beaches. There was laughter. There was a proposal. There was a terrifying gun control discussion. There was foam rolling. We went running. We did some of it quite quickly. The Varsity campaign is underway. It’s coming home. TRAINING CAMP!!! 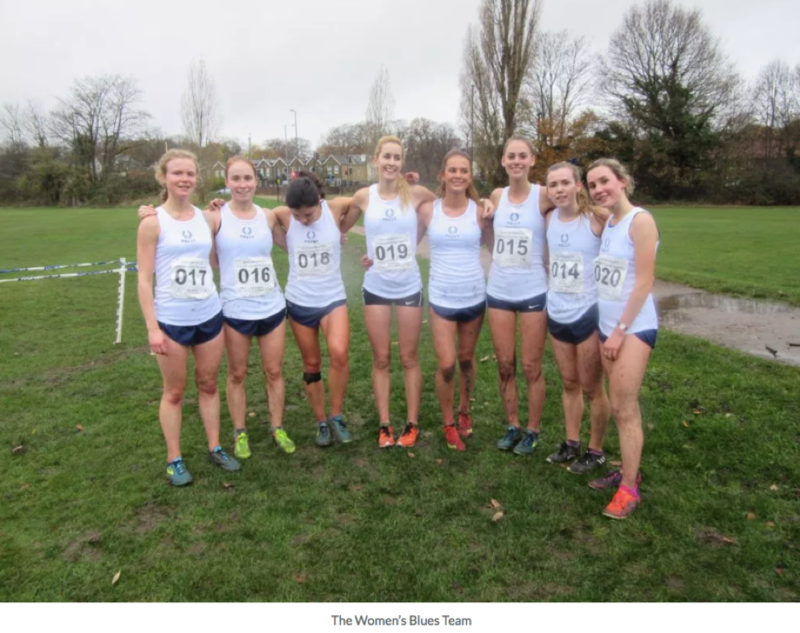 Each year OUCCC head on a pre-season training camp before the start of term to get reacquainted with the miles, Miles, hills, and each other. Freshers, no matter what your running background, are very welcome. It’s a fantastic way to get to know people in the club and we have a great mix of guys and girls old and new to OUCCC already signed up. There’s no expectation of fitness, if you want to come mainly for the social side that is also more than fine! Headline details: 27th Sep-1st Oct (come for all or part), Rydal Hall in the Lake District (nearest station Windermere, but lots of cars going from all over the UK so very likely you can get a lift). More info on training camp can be found here. We are already VERY close to capacity for this year, but we understand you might want to wait for results before committing, so if you’re at all interested in coming along please do get in touch with Club Captain Beth Murray ASAP (bethanie.murray ‘at’ jesus.ox.ac.uk). We will have a stall at OUSU Freshers’ Fair. You can find out more about the club, make friends, and collect flyers for scrap paper there. Get in touch with either of the the captains: Bethanie Murray (Women’s) (bethanie.murray ‘at’ jesus.ox.ac.uk) or Aidan Smith (Men’s) (aidan.smith ‘at’ sjc.ox.ac.uk) with any queries whatsoever! South-Wests, Bicton – OUCCC had a huge force on show at the SWs at hilly Bicton. 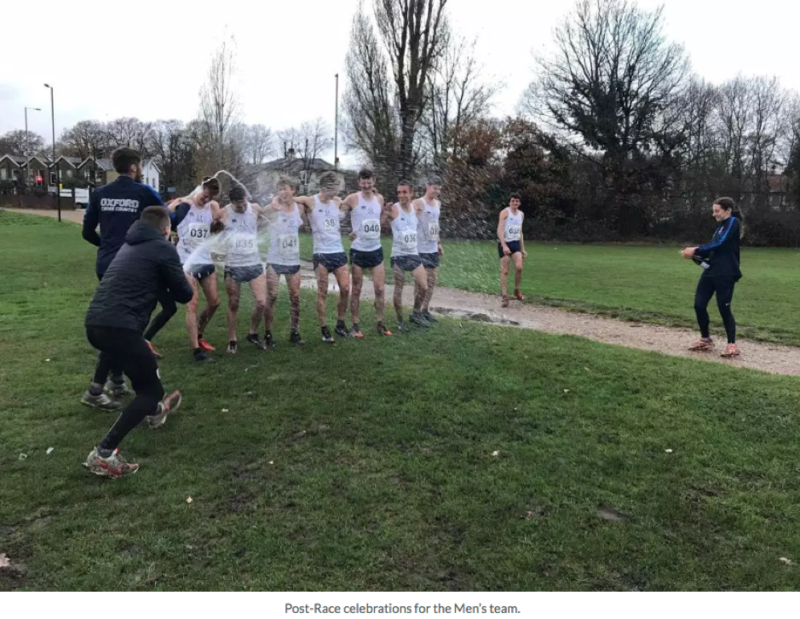 Dan Mulyran and James Sewry competed admirably for Dorset in a combined Under 20 and Senior’s race over 9.1 hilly kms, whilst a slightly off-colour Miles fought hard a little way back in the field. One of his Bristol and West compadres, Will Christofi, performed superbly to finish in 5th position in the Seniors: it’s clear to see that this year should be a good one for the young pretender. His other Bristol and West teammate, Adam Speake, finished further back in (something like) 15th place. Meanwhile, legend has it that a certain Mr Jamie Parkinson had got lost on a run he’d started in Dartmoor and seen the signs for the race that morning. 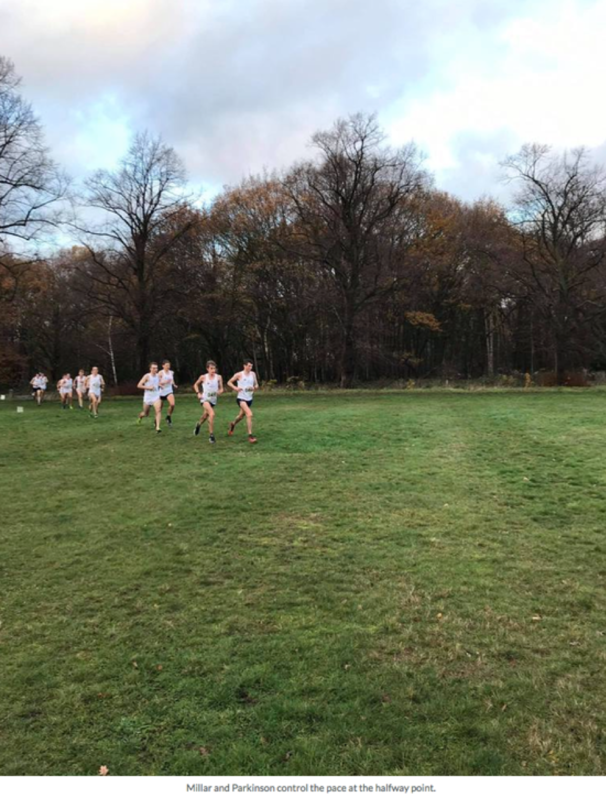 Sourcing running spikes (to which he’d only recently been introduced), Jamie became well-known during the race under his other name: “Who-on-earth-is-that”, sticking with the front runners, before unleashing a burst up one of the final hills to win the South West County champs. Well ran to everyone from the club, an excellent showing. I'm disappointed that there's not a Tupperware emoji.